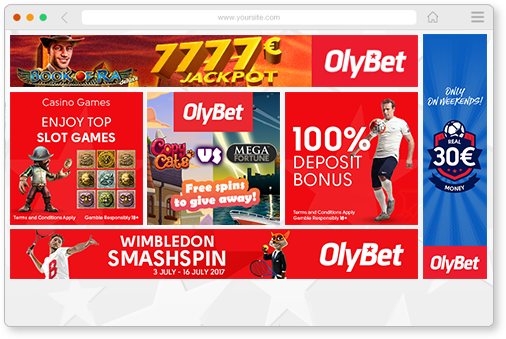 OlyBet Affiliates program wishes to be as flexible as possible and offer tailor made and personal service for each affiliate we cooperate with. The Affiliate Revenue share percentage is calculated every month based on the number of monthly affiliated New Customers in Operator software. New Customers shall mean customers who do not yet have, and have not had an account in Operator’s software, who sign up using Affiliate code in registration form and make at least one real money transfer into their gaming account. CPA models usually run with 50% deposit and wagering requirement from the agreed CPA rate. E.g. 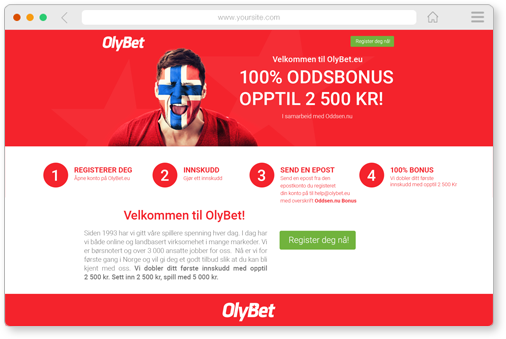 if agreed CPA commission is 50€ then baseline is 25€ (deposit and wager) by referred player. 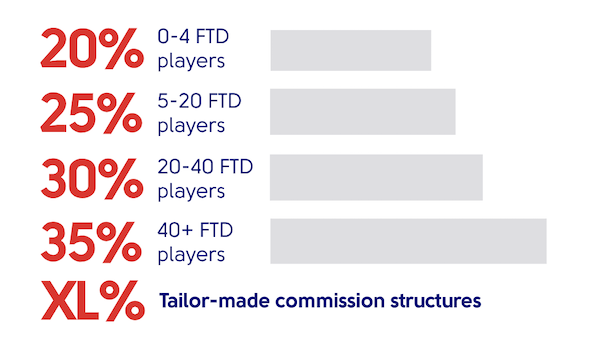 Usually directed player needs to make at least 2 deposits before CPA is paid out for the affiliate. Please read detailed “Payment” terms under T & C point nr 6. Banners: the most widely used marketing tool of our affiliates. Direct tracking links are available from the ‘Get your ADs’ section in your affiliate backend. You can also request bespoke banners from us directly. Landing pages: These are bespoke web pages, effective to promote bonuses or special promotions and increase conversion rates. You can also contact us directly if you require personalised landing pages that are not in the Affiliate system.